Cost is entirely dependent on site specifications and the custom work that the project requires. We understand budget restraints and are happy to work with clients within most budgets. Randy went above and beyond to ensure I am satisfied with my basement windows. He answered all my questions regarding the windows and addressed my concerns. He and his staff were very respectful of my home. Thank you very much for your review Laura. You were a pleasure to work with and we are so pleased to have had an opportunity to work on your home. 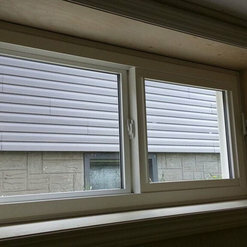 I had hired HERR windows to install custom egress windows in a property for a legal basement suite. The project was carried through in a professional manner, great windows speedy install and well maintained work area. Would and will hire again in the future. Thank you so much for your kind words Aaron. It was a delight to work with you on your project as well. We hope to work with you in the future as well! Thank you so much Tracey, it is wonderful clients like you that truly make me love coming to work everyday! 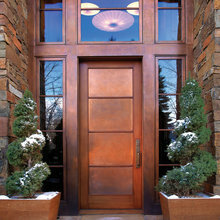 Your home is so beautiful and the door we created for you accents it perfectly. I hired HERR window & door for a residential renovation project. I found them to be extremely knowledgable and helpful. The quality of work was excellent. They were prompt and professional. Will defiantly call on HERR for future projects that window and doors. Thank you so much Jacquelyne! I would love to see what the kitchen looks like complete. 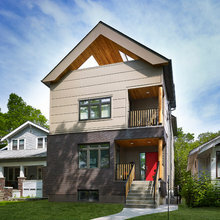 Randy, Natalie, and their crew designed and installed two custom doors for my 1950s bungalow. The mid-century design fits with the rest of the house and the doors are now, without a doubt, the most beautiful part of the house. I wanted doors with clear glass panels, to let in as much light as possible, and Randy and Natalie helped me pick a design that suited both my aesthetic and my house. 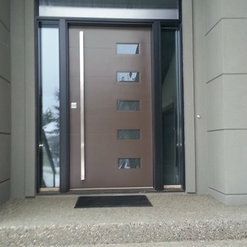 The crew also installed the doors in one day, cleaned up after, and checked in afterwards to see if I was happy with job. When I decide to do my windows, they will be the only people I call. Thank you so much Jorden, We truly enjoyed working with you as well and would love to work with you in the future! 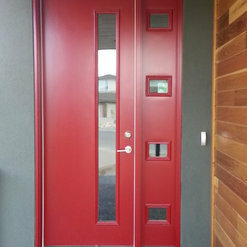 We had Randy and his team install a mid century modern front door on our home. He did such a great job and we received so many positive comments from our visitors that we had them return to install interior doors. Randy is an experienced craftsman who provides personal and personable service and I know he willbe back when we have further work to do. Thank you so much. We enjoyed working with you as well. It is our greatest desire to make clients like you happy. 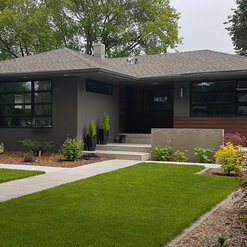 I worked with Randy and his crew to have a new fibreglass entry door installed on my midcentury home and I could not be happier with the results! 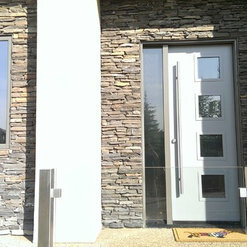 I had a lot of criteria for my new door to meet - good quality, aesthetically pleasing, mid-century/contemporary design, affordable. HERR was the obvious choice after exhausting the list of local suppliers. Randy was great to work with and provided many options to suit my needs at various price points to be sure I got exactly what I wanted. The level of service was exceptional and something I did not find anywhere else. 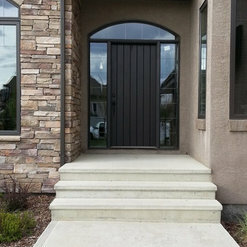 Other businesses seemed to cater more towards contractors and big business, not willing to take the time to explain products or procedures to a home owner. I felt confident and at ease with my purchase after visiting the HERR showroom. 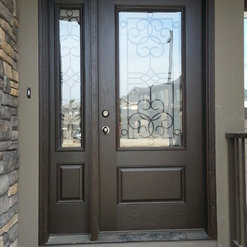 Picking out a new front door was the fun part, but Randy and is crew also did an impeccable job on the installation. Having been built in the 50's the original door was not a normal size in any dimension by modern standards. We opted to replace the door and jamb with a standard size (though custom sizing was available) and I was nervous about how the new smaller door might look/function. Randy and his crew did such a great job with the new jamb and trim that you would never know that the door size had been changed. The crew was polite and kept the job site very tidy. They spent extra time ensuring that everything was installed to perfection...no rush jobs here. They did such a great job that we had them come back and replace windows as well. Randy was very good at pointing us in the direction of quality windows within our price range and helped to update our home without sacrificing curb appeal or any of the interior charm. 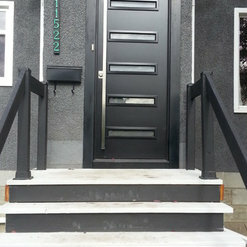 Custom trim/moulding was done to match the existing - a step above and beyond that was much appreciated. 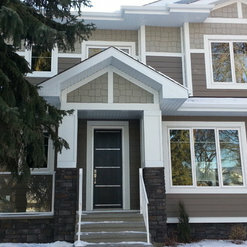 As with the door, Randy's crew did a great job with installing our windows and kept the house nice and clean throughout. From start to finish this company was a pleasure to work with! Thank you so much! We truly enjoyed working with you as well. 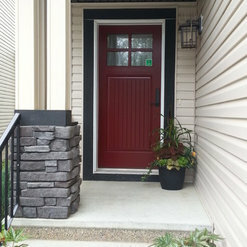 I originally contacted Herr window & doors for the replacement of my own front door, side entry including new hardware on all interior & exterior doors. I have since recommended them to my a repeat client and provided a quote for the replacement of their front door, transom & side lights. I have found them to be very professional and pleasant to work with on both occasions. I would have no problem recommending them to future clients. Thank you very much Patti! We have really enjoyed working with you as well. 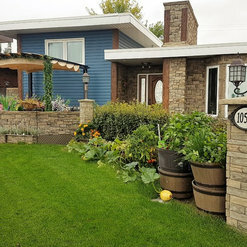 We replaced our front door and patio doors last spring and are extremely happy! 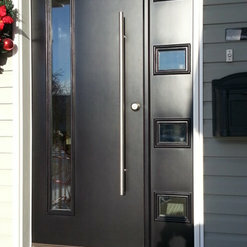 The entire process from door selection to installation was fantastic. Even when we had issues with the hardware after the installation was complete, Randy came back to our home, took the handles off, and was able to identify the issues. He then contacted the vendor and was able to order parts to fix the problem. He is always available to answer any questions through email, phone, or even stopping by. The customer service we received was truly exceptional. There are not many companies that continue to ensure you are happy afterward. I would highly recommend Herr Window and Door! Herr replaced my patio door. Randy was helpful in providing several product recommendations that met my needs and budget. His install team arrived on time and replaced the door leaving the worksite better than how they found it. Excellent after sales/service. Our neighbor had work completed on their home and we were able to look at the craftsmanship put into their work. We had several windows replaced and the job was completed on time on budget and the results are superior to the main stream window replacement companies we have seen in our region. Like in most anything you get what you pay for, Herr represents as long lasting value in our mind. We had a great experience with HERR window & door. We were able to get a specialized window custom to our shape that allowed us meet regulations to use the room as a bedroom in our basement. Very exciting not to have to cut out a larger size from the cement. Thank you! Commented: What color for the doors?I think a Black or very dark grey (Charcoal) would look amazing. It would help anchor the dark ceiling and tie everything together. White would be a safe bet, but I always like to do things bold.